Prenatal Vitamins are the perfect hand-out for positive pregnancy tests to start their pregnancy off right. It’s also another way to help form a connection between an abortion minded client and her baby. Now you can offer a service to all your clients that helps them practice positive pregnancy habits from the day they find out they are pregnant. 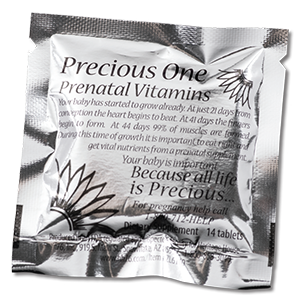 Prenatal vitamins are a great way to encourage continued contact with your client during the pregnancy. 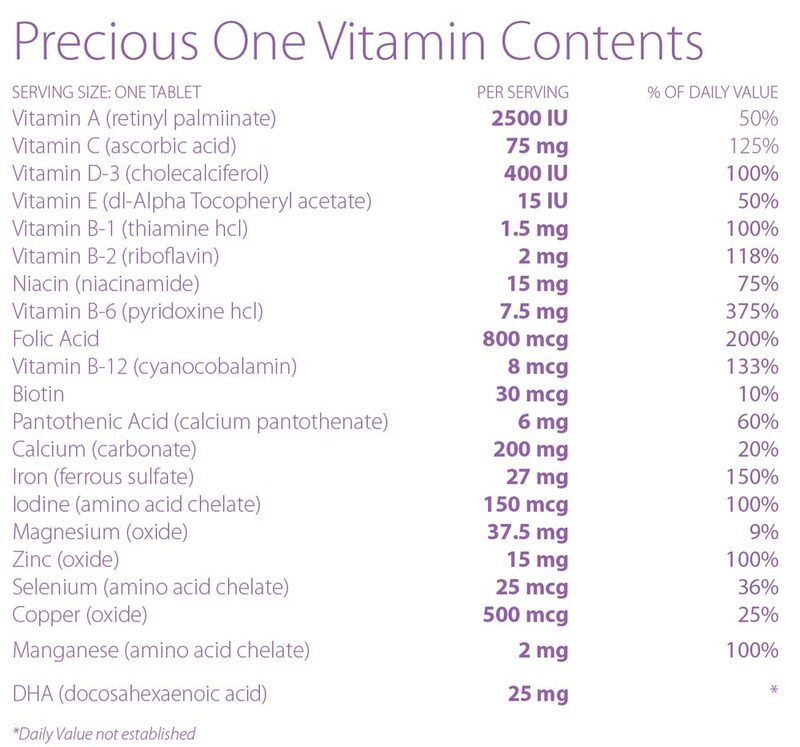 The concentration of vitamins and minerals in each Heritage House “Precious One” Prenatal Vitamin complies with recommendations from the FDA, pediatricians, and independent sources to give your client what she and her baby need most. Our vitamins are manufactured in an FDA compliant facility and packaged under stringent sanitary conditions, insuring the best product for you and your clients. - Combine your order with pregnancy tests for more savings! If you order both tests and prenatal vitamins, the quantities combine and you get the next pricing level on both. 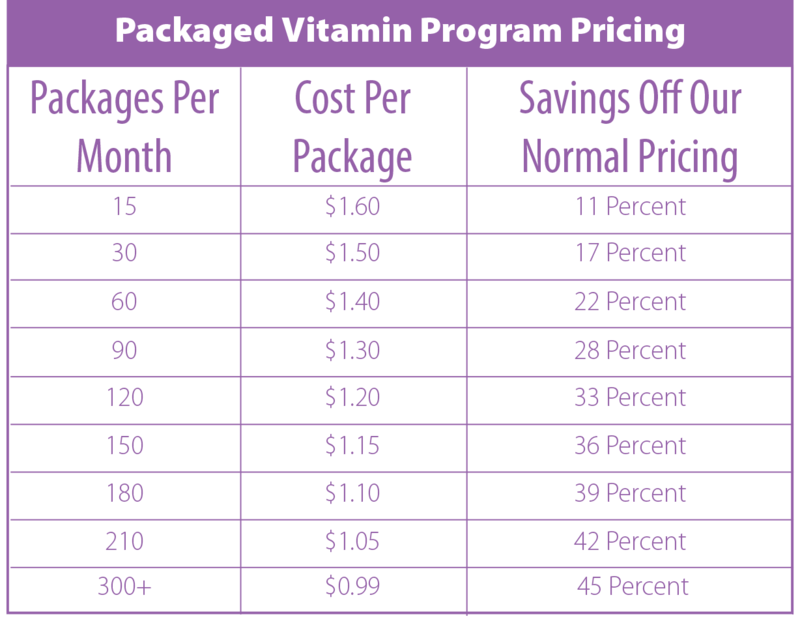 For example, if you order 5 boxes of tests a month and 1 set of bottled vitamins, you will be the 6 box pricing (150) on tests and the 6 bag pricing (180) on vitamins! See the enrollment form for more information.